The New York Times obituary by David Dunlap features images from Unfinished Spaces. John A. Loomis wrote a moving obituary on Repeating Islands. Purchase the DVD from PBS Home Video or Amazon (North America only). Download on iTunes (USA only). Please also take a moment to rate the film or write a review on iTunes and Amazon, and join the filmmakers for discussions on Facebook, Twitter, or our email newsletter. We're blushing! Thank you, Society of Architectural Historians (SAH), which presented the inaugural SAH Award for Film and Video to Alysa Nahmias and Benjamin Murray for Unfinished Spaces at the 2014 Annual Conference in Austin, Texas. The award was established in 2013 to recognize annually the most distinguished work of film or video on the history of the built environment. The SAH Selection Committee's statement reads: "Unfinished Spaces presents a concise history of 20th-century Cuba through the lens of this fascinating subject. Through the filmmakers' use of rich archival and contemporary texts, film and still images, we meet the schools' architects then and now, and watch the intriguing, and frustrating, journey they take." The news was covered in Diario de Cuba and Archinect. HBO's broadcast will bring the film to millions of viewers in Mexico, Central America, South America, and the Caribbean in 2013-2014. Following last year's prize-winning screening at the Miami International Film Festival, HBO Latin America acquired the film. HBO Latin America is available in over a dozen Spanish-speaking countries. Universities, museums, schools, libraries, and other organizations may now purchase or rent the Educational DVD of Unfinished Spaces from our distributor BULLFROG FILMS. This DVD comes with an insittutional screening license. (Discounts are available for grassroots and activist groups; please inquire: info@bullfrogfilms.com). The Home Video DVD will be released in 2013. Please join us on Facebook, Twitter, or email newsletter to be the first to hear about it! In the mean time, please share the Educational DVD with your local librarians, curators, teachers, and event programmers -- tell them you'd like to see them bring Unfinished Spaces to your community! Unfinished Spaces is excited to announce the launch of a USA showcase tour this October in selected cities! 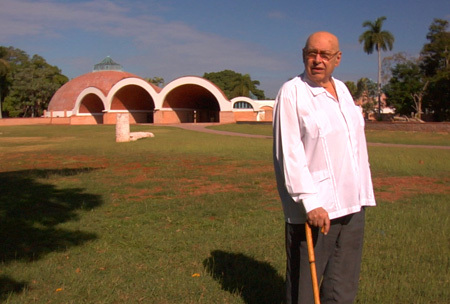 The tour will bring the film to five Cuban-American population centers nationwide in support of the film's broadcast premiere on PBS’s Latino arts and culture series VOCES. Join us in New York, Union City, Tampa, Miami, or New Orleans and participate in a dynamic, live discussion with Unfinished Spaces filmmakers Alysa Nahmias and Benjamin Murray and other invited guests. With co-director Alysa Nahmias, artist Carlos Estevez and Dr. Juan Antonio Blanco. With co-director Alysa Nahmias and special guests. Diana Agrest, Patricio del Real, and Pablo Lorenzo-Eiroa. With co-director Benjamin Murray, Professor John Stubbs, Professor Anna Lopez and Professor Wendy Redfield. With co-director Alysa Nahmias, Cuban art curator Armando Lopez, artist Geandy Pavon and Union City Commissioner Lucio Fernando. Save the Date - FRIDAY, OCTOBER 12, 2012 at 10:00 p.m. EST (check local listings) - tune in at home, or set your DVR, for the U.S. television premiere of Unfinished Spaces on the new PBS independent film series VOCES. In New York City (channel Thirtee WNETn), the broadcast will be on Sunday, October 14th at 7:00 p.m. In Miami (WPBT2), the broadcast will be on Friday, October 12th at 11:00 p.m. If you live in another city, please check local listings. We are very excited to bring this film to the North American public. It's been a long (ten years!) journey for us as filmmakers, and we could not have made it to this point without our loyal fans and supporters. Gracias! Unfinished Spaces on PBS is a co-production of Latino Public Broadcasting. Co-director Benjamin Murray traveled to China this month with the Sundance Institute's FILM FORWARD program. At Unfinished Spaces screenings in Beijing and Kumming, audiences responded with openness and emotion. Xuequn Bao, a Kumming resident, said, "The unfinished space in the film is a holy temple for beliefs and passion of artists." Read more of Xuequn's testimonial as well as Murray's filmmaker diary on the Sundance website to get more details about the cultural exchange. FILM FORWARD connects contemporary films and filmmakers with diverse global audiences and features documentary and narrative films. FILM FORWARD underscores the importance of mutual understanding and respect for other cultures and traditions that is at the heart of cultural exchange. Co-directors Nahmias and Murray, with Architect Roberto Gottardi, attended the Miami International Film Festival where the film won Honorable Mention in the Knight Documentary Competition. The film also won the Documentary Jury Prize at the Salem Film Fest, the Documentary Special Jury Prize at the San Diego Latino Film Festival, and the award for Best Reportage at the Montreal Festival of Films on Art (FIFA). The Miami International Film Festival is presenting Unfinished Spaces this week for three sold-out screenings throughout the city. Co-Directors Alysa Nahmias and Benjamin Murray and architect Roberto Gottardi, subject of the film, attended the long-awaited premiere on March 3rd at Coral Gables Art Cinema. The Q&A discussions, led by Thom Powers of MIFF, were emotional, and the reception has been powerful by Cuban-Americans and film lovers in Florida. Roberto received standing ovations from the audiences! Many young members of the audiences approached Roberto after the film to thank him for his contribution to Cuban culture and to ask him to sign a copy of the film's postcard. Nahmias and Murray participated in a master class panel discussion at Miami Dade College with Roberto Gottardi, Prof. Eberto Garcia Ebreu of the Instituto Superior de Arte in Havana, and visual artist Felipe Dulzaides, who appears in Unfinished Spaces. Dulzaides' brilliant project about the Cuban National Art Schools, Utopia Posible, is also now on exhibition at the Freedom Tower in downtown Miami. The filmmakers also presented Unfinished Spaces to an audience of four hundred public high school students from Miami-Dade School District. These students' insightful questions demonstrated how eager American audiences are to connect with Cuban culture and to hear stories about the importance of art in society. Co-Directors Alysa Nahmias and Benjamin Murray were awarded the 2012 Jameson FIND Your Audience Award from the Los Angeles-based organization Film Independent on Saturday, January 15, 2012. The Award is accompanied by a major grant to help expand the film's reach. The Award will be announced during the Film Independent Spirit Awards, to broadcast live on IFC on February 25, 2012. Co-Directors Alysa Nahmias and Benjamin Murray, and architects Roberto Gottardi and Vittorio Garatti, subjects of the film, will attend the long-awaited Cuban premiere. After years of anticipation, we've heard the fabulous news that Unfinished Spaces (Espacios inacabados) is an official selection of the Festival de Nuevo Cine LatinoAmericano de la Habana. The film will screen in the section "Hecho en Cuba (Made in Cuba)" and the "Puentes y MMas as Puentes (Bridges and More Bridges)" program hosted by Latino Public Broadcasting. Hope to see you there! Unfinished Spaces among 10 films selected to participate in the prestigious Sundance FILM FORWARD program to advance cultural dialogue. FILM FORWARD is an initiative of the Sundance Institute and the President's Committee on the Arts and the Humanities in partnership with the National Endowment for the Arts, the National Endowment for the Humanities, and the Institute of Museum and Library Services. FILM FORWARD connects contemporary U.S. and international films and filmmakers with diverse global audiences and features documentary and narrative films. FILM FORWARD underscores the importance of mutual understanding and respect for other cultures and traditions that is at the heart of cultural exchange. A Documentary Jury Prize at the Semana Internacional de Cine (SEMINCI) was awarded to Unfinished Spaces: "for being such a human and well-constructed film. Through its architecture we discover the cultural, political and social history of a country. We would specially like to mention the splendid narrative, and the idea that life gives one a second chance, even though it seems impossible." Co-Director Benjamin Murray was in Spain to accept the award and to acknowledge our incredible crew and the subjects of the film - architects Porro, Garatti, and Gottardi - who have inspired this story over the past ten years. This fall, Unfinished Spaces will be screening at Film Festivals from Spain to San Francisco and from Maine to Hawaii. Check out the list of upcoming screenings.  Following a critically acclaimed world premiere at the LA Film Festival, we are pleased to announce that Unfinished Spaces will screen at the prestigious DocuWeeks™ at IFC Center in New York City (Aug. 12 - 18), and Laemmle’s Sunset 5 in Los Angeles (Aug. 19 - 25), making it Academy Award® eligible. Screening and ticket information available here. It's official! We are very proud to announce that Unfinished Spaces has been selected for the Documentary Features Competition at the Los Angeles Film Festival 2011! Check out the full lineup here. Tickets available here. We are in the midst of preparing for our WORLD PREMIERE in LA in June. In the mean time, we've set up a newly re-designed website, and we've posted a trailer for you to enjoy and share with others. Please consider making a tax-deductible contribution to help us complete post-production this month and bring Unfinished Spaces to the LA Film Festival, as well as many more festivals and theaters near you this year. Latino Public Broadcasting selects Unfinished Spaces for PBS in the U.S. Unfinished Spaces has been selected by Latino Public Broadcasting for screening on public television (PBS stations) in the United States. Latino Public Broadcasting (LPB) is funded by the Corporation for Public Broadcasting. Every year LPB invites independent filmmakers to submit proposals for its Public Media Content Fund initiative.